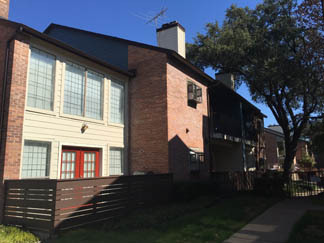 Our company replaced existing wood siding with James Hardie Prevail fiber-cement lap siding. 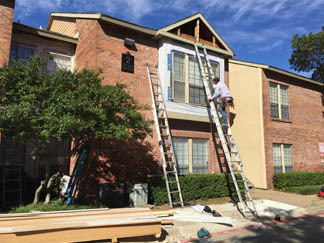 A new building wrap moisture barrier was installed prior to new siding installation. 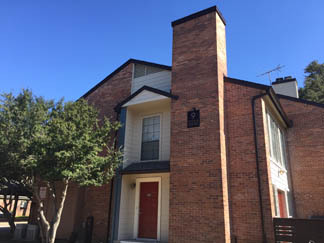 Surfaces were painted with Sherwin-Williams Duracraft Exterior Satin Paint. We removed all existing pickets, runners and patio caps. New pre-primed planks (1x4 and 1x8) were installed horizontally. Deteriorated wood posts were replaced. Additional supports were installed as needed where the span between the exising posts was too wide to support the new configuation. 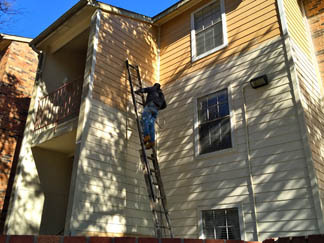 Fences were painted with Sherwin-Williams Durcraft Exterior Satin Paint.